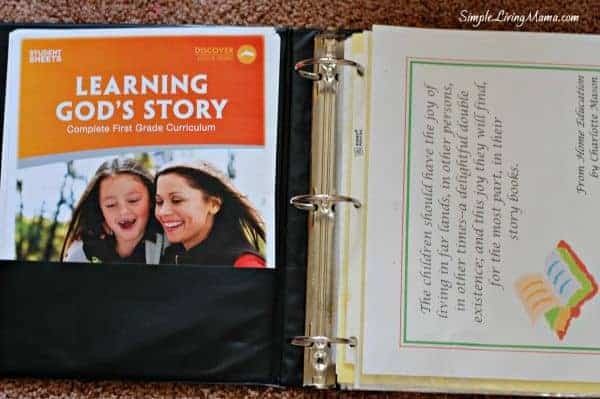 Let’s talk curriculum organization! I have a secret weapon when it comes to organizing our My Father’s World curriculum. It’s called a big BINDER! 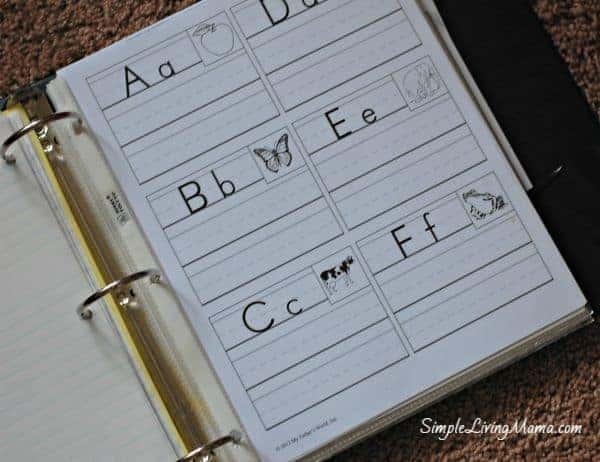 Yes, a simple binder helps me organize our student sheets and all my thoughts for our homeschool year. 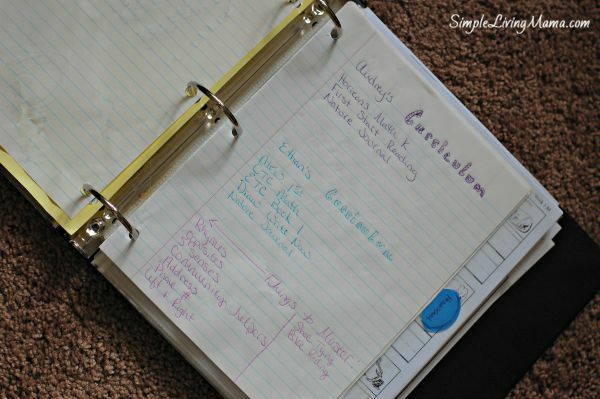 Let me show you exactly how I use my homeschool binder to organize our curriculum. 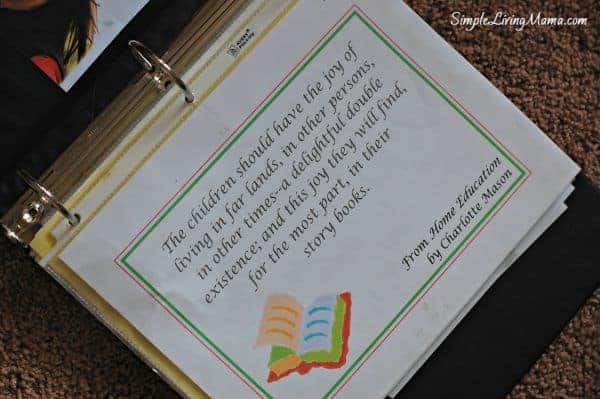 So, I am currently using a 2″ binder, but as I add more children to our homeschool, I will likely move to a larger binder. This one works for now! In the front pocket of my binder I am keeping all of our timeline pieces. I have not cut them out yet. If I wanted to be prepared, I could cut them all out and then store them in a gallon zip lock bag right in my binder. This way is working for now. I like to keep a couple of inspiring quotes at the front of my binder. This was a free printable I got a few years ago, so I don’t remember where I got it. I also like to keep book lists. 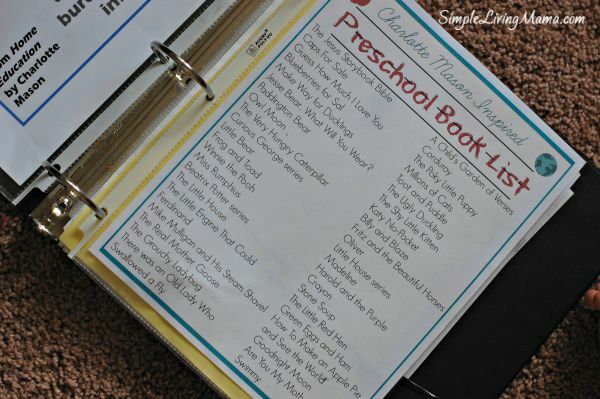 Here is my preschool book list. Now don’t laugh, but here is my notes section. It’s just notebook paper and the possibilities of what I can do here are endless. 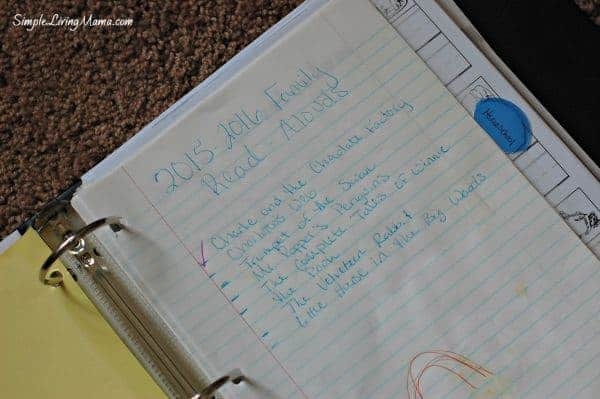 I have a list of the family read-alouds I want to read this year. I also write out my own curriculum lists and certain things I want to make sure we master this year that may not be part of our core curriculum. The next sheet is our schedule. 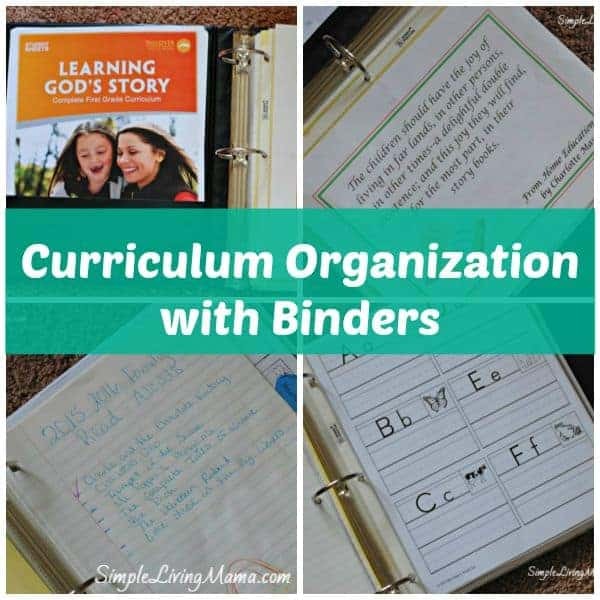 There is so much you can do with a binder. 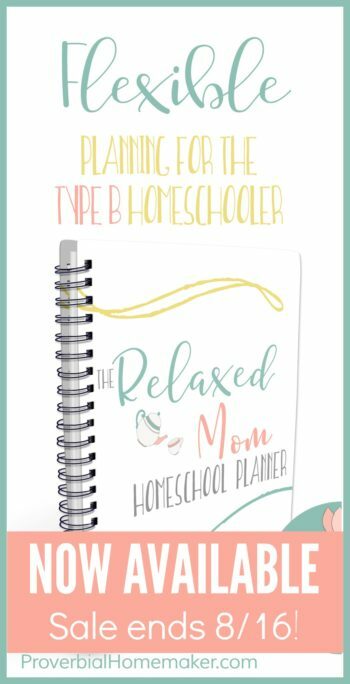 Update: I’m using The Relaxed Mom Homeschool Planner this year! I love it! Here’s how I store my student sheets. They are divided by weeks and stored in page protectors. Easy peasy. I did this last year with My Father’s World Kindergarten and it worked out perfectly. I am finding there is not a lot to the MFW 1st grade curriculum. I have just stored our books on a shelf. 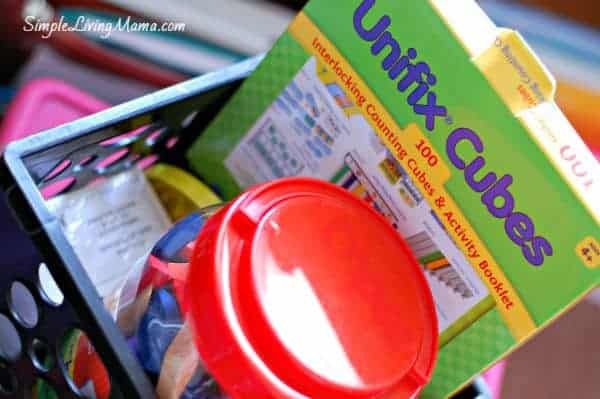 All of the math materials are in a mini crate, and that’s pretty much it! We can’t wait to get started! Want more homeschooling posts? 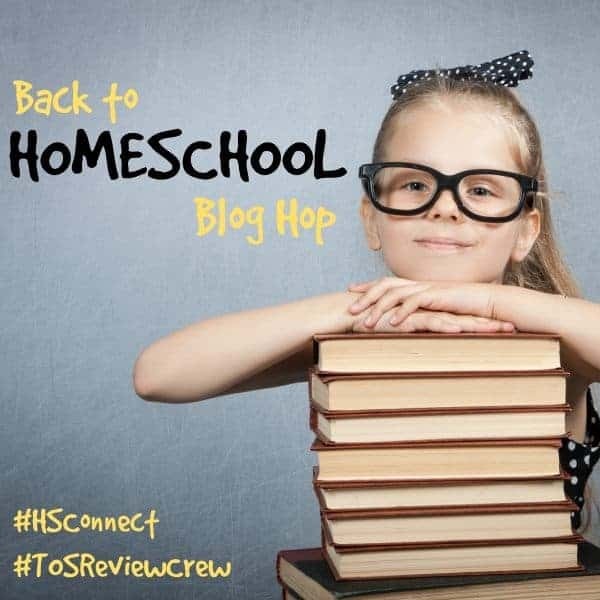 Check out the Back to Homeschool Blog Hop with the The Schoolhouse Review Crew and Homeschool Blogging Connection!